You and one of my cousins are my go-tos for slow cooker recipes, as the ones I try on my own don't tend to wow me. The pork loin in that article looks good too! Audrey - I thought the pork recipe looked good, too! There are probably better sweet and sour recipes, but this is by far the simplest and it tasted good, too. I probably will finish tonight (didn't get out to do the rest of the shopping today) but won't say a word about how it's all playing out. I'm glad I can indulge in my cold today... feeling well enough to read, but not quite up to going out. 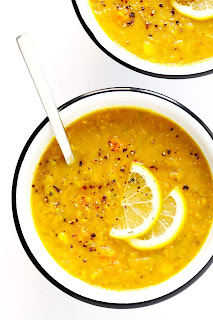 Lemony Lentil Soup sounds (and looks) delicious. Thanks for sharing. I am pondering making something in the slow cooker that would give me leftovers. Enjoy your week and your upcoming holidays. Thanks for visiting my blog. Your NYC trip sounds wonderful. Hopefully your cold will cooperate and be gone soon so you can really enjoy Christmas. I'm pretty much ready - all I have left to do is shop for food and cook and I started making my grocery list this morning. Kathy - I decided to stay in again today. Fingers crossed the congestion and cough are improved tomorrow... I have to start the food prep soon! 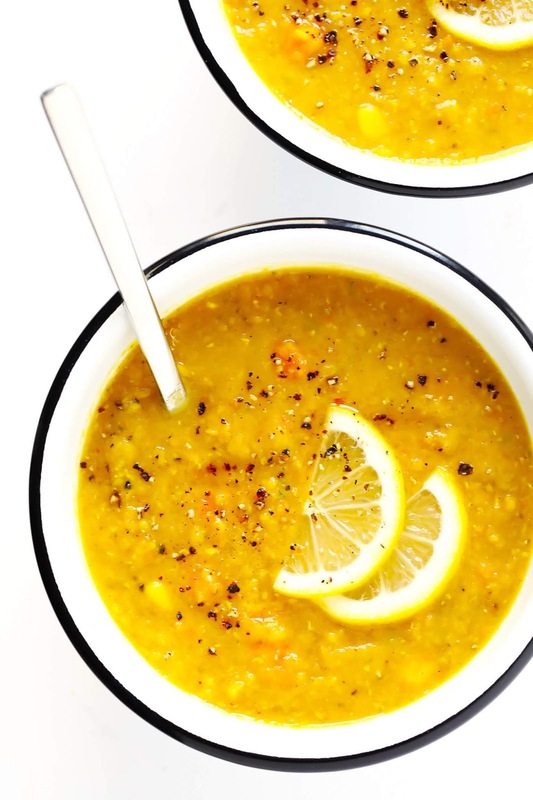 That Lemony Lentil Soup is calling my name! I made a simple roast chicken on Friday, which we ate for two days and then I made soup. So easy for this time of year. Beth F - The soup was very good, but I liked it a lot more than my husband did. Lentil soup would be perfect right now. I know I'm in Florida but it's always chilly in my office and I bring soup quite a bit. It's a great lunch and gives my body energy. Your lake photo makes me so happy. There is nothing quite like a sunrise/sunset over water, is there? 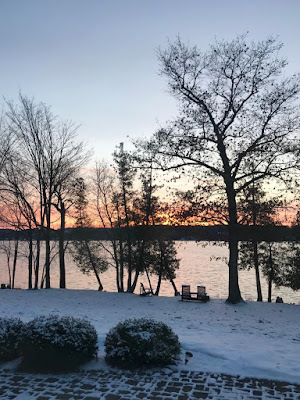 I'm jumping back into blogging (and blog-hopping) after almost a month away. 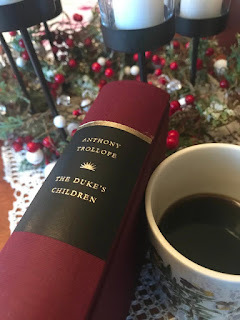 While I'm not quite ready for Christmas, my heart is beginning to heal and I'm eager to start writing about the books I've read this year. I spent most of yesterday writing reviews and getting organized for a bunch of posts. We'll have a quiet Christmas this year, which suits me fine. Now if the rain would quit, I could get outside and spend some time near the ocean. I hope you're feeling well soon! I'm off to take a look at all those recipes. You always pick winners! Les - You've been on my mind so much lately! Glad you'll be back to blogging again, but I'm sure the healing will take time. Wishing you peace and comfort this holiday season. Your recipes look good. I'm not familiar with the books you are reading. I hope you have a great holiday season with family and friends. Come see my week here. Happy reading! I love Gimme Some Oven's recipes. I definitely want to try the lemon lentil one! Monika - I've made quite a few of her recipes, too, and they're always good! I hope you have a wonderful Christmas -- which it sounds like you will. 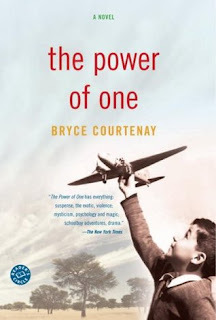 I think I recall seeing the movie of The Power of One long ago but I'd like to read the book. We are going to NYC in early March and plan to go to the Natural History Museum. I might pick your mind on a few other places there when time gets closer. Susan - I'll have to look for The Power of One movie, too. I didn't read the book club selections while we were in Florida this year, but I plan to for 2019. Think you'll enjoy the Natural History Museum.... my daughters live just a few blocks from there. You're always making the most delicious-sounding stuff! Enjoy the holidays! We've also been visited by the winter cold. My weekly updates. pussreboots - I think we'll have a white Christmas! I love the fact that Americans bake so much during Christmas. It sounds like a lot of fun. Oh my! You are soooo busy! You do need to sip some bone broth while you read and get restored! Bone broth does wonders! I can’t quite get my head around what you are reading...my reading right now is either Light, Christmassy or dark...not sure why! Patty - Today will hopefully be the first day I leave the house... this is a bad cold that really knocked me down. Than goodness for my cozy couch and light reading! Ah, your little NYC trip sounds wonderful, and just the kind of break that fits in well to the chaos of this time of year! I spent a good few hours yesterday wrapping up all our gifts - feels good to have that checked off the list, as it is surprisingly a time consuming task. Sorry to hear you've come down with a cold - plenty of rest, books and soups for you! I hope you feel better soon; especially in time for Christmas. Jade - The wrapping is finally done here, too. Now to get all the groceries and I then I can start cooking! Wonderful city trip-- we being originally from NY love to play "tourist" when we go back to visit. My son plans on moving near the city (means more affordable housing) this Spring. I guess more trips there are in my future. Lovely recipe for lentils! We don't eat meat but the chicken recipe sounded so good also. Rita - So exciting that you'll get to spend more time in NYC in the near future... good luck to your son in his city adventure. Merry Christmas to you and your family! The colds that have been going around have been wicked! I hope you are better today! Ti - Today is Thursday and I think I may finally feel well enough to leave the house... it's been a long week. Not at all what I'd planned for the week before Christmas! It's such a hectic month. I've read a few Christmas books and finished Becoming on audio (fantastic). Hope you feel better quick and have a nice Christmas. Diane - Audio seems to be the way to go with Becoming. I'll definitely be listening in 2019. Hope you and your family have a wonderful holiday... loved your recent photos with the girls! Monica - Merry Christmas to you... and safe travels. Hope your plans are not impacted by the storms. I'm sorry your cold has got you down. Hopefully, you are on the upswing now. I hope you have a lovely holiday! Thanks, Deb. This cold has been a tough one.. finally left the house for the first time in days yesterday. I read The Power of One when it came out and absolutely loved it. I met Bryce Courtney when he came here for a book signing years ago. He was a lovely man. Although he was born in S Africa he became an Australian when he moved here in 1958. He wrote several books about Australian history but did not get the good reviews for them he got for Power of One. I'm reading The Silence of the Girls for Feb book group. It's about Troy. Get better soon and enjoy the big day. Pam - I'm so pleased to know you loved The Power of One! The book club member suggesting it said it was her favorite read of 2018. I plan to borrow a copy from the library as soon as I get to Florida after New Years. Hope you're enjoying the book about Troy.... I'm going to try and read all of our selections even though I won't be there for several more months. Definitely a crazy time of the year. Hope your cold is going away soon so you can be ready to enjoy the Christmas festivities! I'm really curious about the lentil soup. Will have to share that recipe with my husband who is the cook in our family! Iliana - I still have a lingering cough and congestion, but felt much better in time for Christmas. Made another batch of lentil soup when all the girls were home... it didn't last long! I hope you visited the planetarium movie while at the Natural History Museum. Saw it last month and decided I could sit and watch it over and over again all day long. Just finished a short story collection by Anthony Doerr, Hillbilly Elegy and There, There. I need something a little lighter to get me to the end of the year. Midlife Roadtripper - Can't tell you how long we debated about that movie before deciding to skip it this time, but try to catch it in the spring. Sounds like we made the wrong decision! After finishing Trollope, I read a couple of quick, light books. 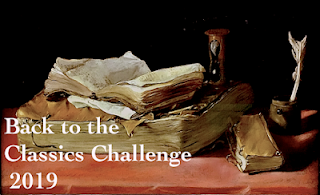 I'm hoping to finish one more book, Standard Deviation, before the end of the year. Happy New Year to you and your family! Happy New Year to you as well. Hope you are over that cold.